This snapshot illustrates the relative sizes of the smallest and the largest (as well as the brightest) flashbulbs ever made. 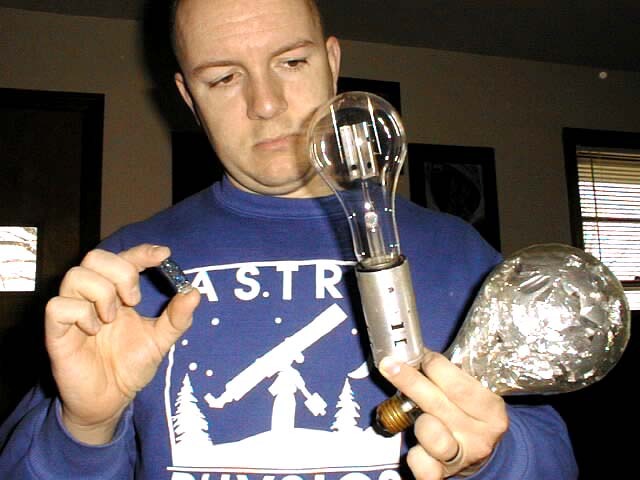 Left to right: the GE AG-1B "peanut" bulb; in the middle the Meggaflash PF-330 "floodflash" bulb; and right the GE Mazda Type 75 photoflash foil bulb. The PF-330 burns for nearly two seconds, giving off a brilliant blue-white light. Its main use is in high speed movie cinematography, and has a limited use underground. The 330's primary use underground is in large cave chamber photography, but its $50 price tag is extremely limiting! 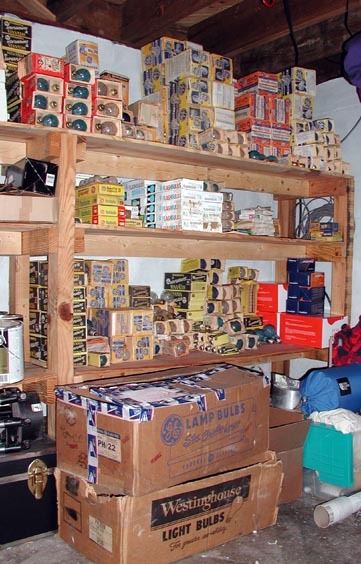 The Darklight Imagery flashbulb stockpile.